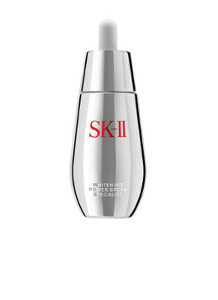 Over 10 years, SK-II studied the skin of 100 women and made a fascinating observation: as we age, our skin naturally gets darker and duller over time. The darker the skin becomes, the harder it is for natural radiance to shine through. 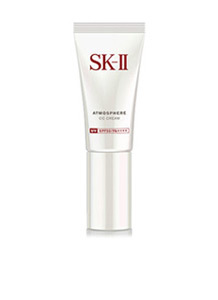 Using this knowledge and over a decade of research, SK-II scientists came up with a breakthrough skincare philosophy to help women achieve brighter, more radiant skin – they called it GenOptics. Inspired by the scientific concepts of Genomics and Optics, the studies of genes and light, SK-II’s GenOptics philosophy mimics the power of optical science to change your skin's destiny. The hero product of GenOptics is Cellumination Aura Essence, a powerful brightening essence embedded with SK-II’s signature Pitera™ and Soft Aura White active complex that unlocks your skin’s natural radiance. 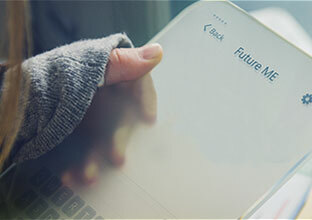 Just four weeks of use can improve up to 10 years of skin darkening. 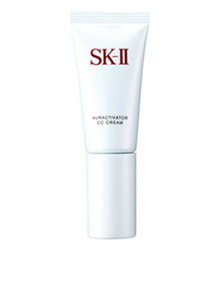 SK-II’s new Auractivator CC Cream also harnesses the power of GenOptics to provide cosmetic coverage and brightening skincare all in one step. Containing 40% of the active whitening ingredient in Cellumination Aura Essence, this cream creates an irresistible glow and a radiant, pearly finish. BB VS. CC CREAM: WHAT’S THE DIFFERENCE?